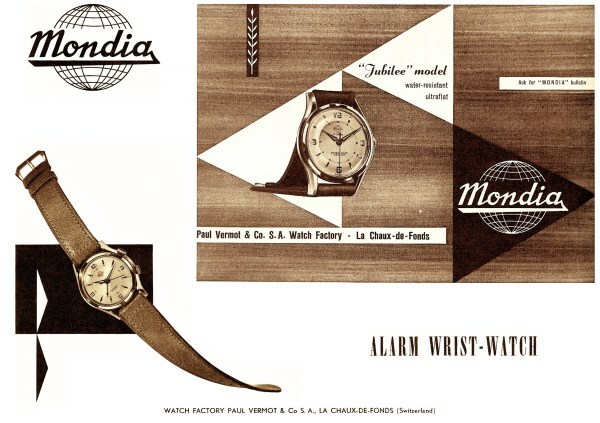 The brand Mondia was created in 1935 in Le Locle – Switzerland, by the watchmaker Paul Vermot. The growing appreciation of the brand lead to a fast modeling development up to the success consecration in the ‘70s, when Mondia enter the orbit of the Zenit Group, becoming a reference point for what would now be classified as “affordable luxury”. Mondia today is the synthesis of its significant past and the interpretation of an evolving market. Mondia collection is divided in two to better represents both aspects, namely the precius inheritance in the world of Swiss watchmaking with Mondia Swiss and the Italian modern creative impulse with Mondia Italy. MONDIA ITALY: perfect blend of craftsmanship and creativity, masterfully unified by renowned Italian taste for fashion. Attention to details and exellent price/quality ratio are common denominators for Mondia watches. All items engineered, studied and manufactured with with dedication and great care. The endless stories of people who have loved the world of watchmaking, handing the watches down from generation to generation, have new life with Mondia, as those who want to have a quality timepiece with accesible prices, as many customers can be fond of our products. Mondia brand keep remaining consistent to its founder, Paul Vermot, creating watches with passion and in full respect of high quality standards, expanding and completing the offer, to help you to find “your "Mondia".